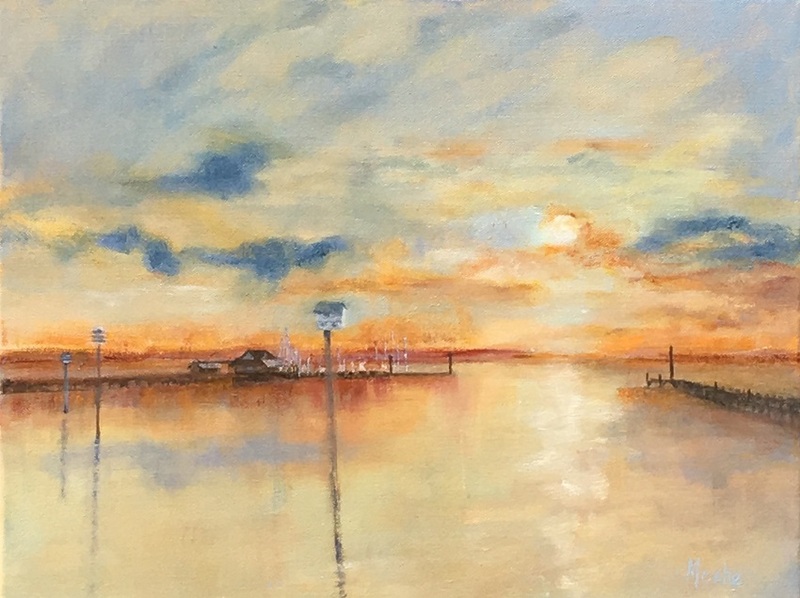 Bay Oil Painting on Canvass, "Happy Hour", 18x24, by Mercedes Franklin, For Sale, Lyons Share Gallery, Fairhope AL 250.928.2507. One of the joys of boating, to me, is the end of a good day on the water, take a shower, get ready for the evening, have a drink, go out, enjoy & make it home dry & safe! I enjoyed painting every part of this canvass. Especially love the colors, I believe they portray my feelings from the day.